As one of the most interesting pop stars of the moment, Kelsey Lu also happens to be one of the most restrained. Her bare cello-and-sometimes-vocals sound – as featured on her acclaimed debut LP Church – makes her suited for everything from churches (where her album was recorded live) to clubs. Hers is a sonic resonance that has caught the ear of some of music’s biggest names. 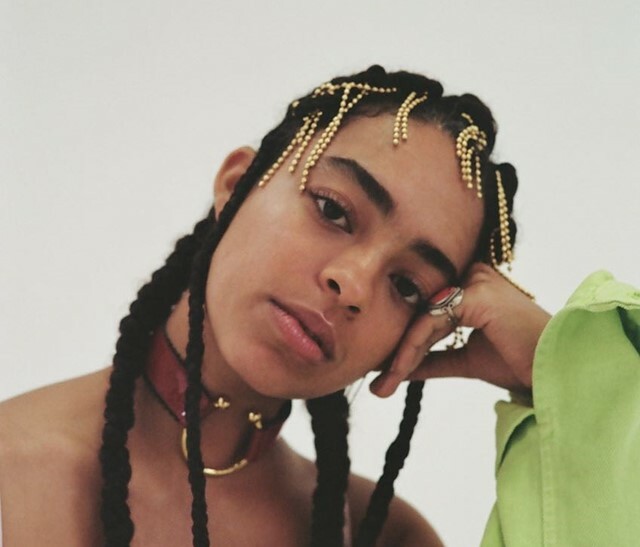 Last year, she collaborated on tracks with Blood Orange, Lady Gaga, and Wet, and performed on an interlude from Solange’s album A Seat at the Table. That opened the door for Solange to invite the North Carolina-born artist on as an opener at the Hollywood Bowl in September 2017. But not before she plays FORM Arcosanti – a festival in the Sonoran Desert – in May. Collaborations aside, it’s her uncompromising, on-loan-from-bohemia sound that makes Kelsey Lu simply unforgettable. And, in the meantime, you can catch her in KENZO’s SS17 campaign, shot by Durimel.